Lisa is a naturopath based in Adelaide, Australia, who has a particular interest in food intolerances, women's health and natural fertility. I met Lisa through Marie Forleo's B-school for online entrepreneurs and we realised we had similar interests in science and plant-based nutrition. Lisa completed a Bachelor of Science degree in 1997 with the intention of going on to study nutrition, however due to course restructuring and availability (and possibly fate), she ended up in medical research for 8 years during which she earned an Honours degree (in the area of reproductive biology) and was also enrolled in a PhD. It wasn’t until a friend suggested she see a naturopath for her own health problems that she discovered naturopathy and a philosophy for health and nutrition that resonated with her own personal philosophy far more than the medical model she’d been working in. After much consideration she elected to discontinue the PhD and follow her heart, leaving medical research to study her first love, nutrition (and her new passions: herbal medicine and naturopathy). In 2012, Lisa completed further study in Plant-Based nutrition and is a Trained Teacher in Natural Fertility Education. Whilst Lisa learned many things relevant to health and her personal areas of interest during her academic career, she feels her greatest learning came from being on the other side of the fence: as a patient. Through her own personal health problems and food intolerances and the journey of parenthood (from conception to sleep deprivation), having 2 children under 4, each with food intolerances, and the experiences of her close friends and family, Lisa has learned things that aren’t usually found in books (like how it can take 2 hours to chop a carrot when looking after small children! and how overwhelming it can feel to be told your 7 month old is dairy and soy allergic). Lisa approaches naturopathy in a broad-minded and down to earth way. 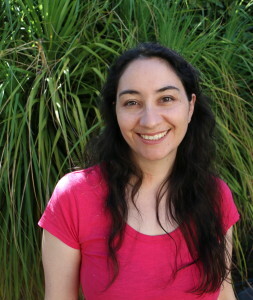 Her personal experiences have helped her become a more practical clinician, with an appreciation of the needs of people with young families, people who are working and studying, or with demanding careers, as well as some of the challenges of certain health conditions such as food intolerances and endometriosis, whilst her scientific curiosity continues to drive her appetite for information to help people. Recently we had a chat on Skype and recorded it to share with others who may be struggling with food intolerances and/or menstrual pain. We hope you enjoy hearing about Lisa's story and her work. If you have any comments or questions please contact Lisa or contact Jane.